What makes a health influencer? Find out by clicking here for a special podcast featuring Ray Kerins, SVP, communications, government relations, and policy, Bayer, and Eileen Sheil, executive director, corporate communications, Cleveland Clinic, who discuss authenticity, data and analytics, and much more as they share the tactics and philosophies that helped earn them places on the 2017 PRWeek and MM&M Health Influencer 50 list. 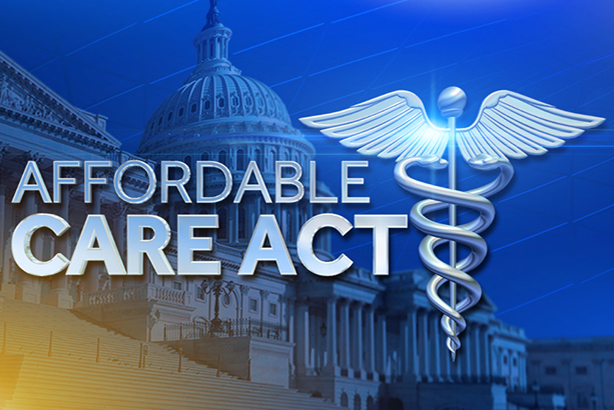 Despite threats by the current administration to abolish – or at least significantly cut – it, the Affordable Care Act remains in place. Still, in addition to being a political football and a source of polarization, the legislation’s particulars remain one of the biggest sources of confusion. And in a marketplace where misinformation abounds and emotions run high, communicators in the space have their work cut out to break through the clutter to get the right information to the intended audience. It’s a challenge indeed, but also a great opportunity, agree the eight industry leaders, including several from the 2017 PRWeek and MM&M Health Influencer 50 list, who gathered at the National Press Club in Washington, D.C. for this Bayer-hosted roundtable. Crafting meaningful messaging to help consumers make smart healthcare-coverage decisions can be difficult when information is continually shifting. “We look to be that trusted partner that will be agile so when there are changes, we can help ensure that information gets out,” notes Karen Boykin-Towns, VP of corporate affairs, Pfizer Innovative Health. With healthcare at 18% of the GDP, the stakes are high. “We try to stay on a really tight message about quality, access, and how we make care affordable to patients – and coverage is a big key,” explains Eileen Sheil, executive director of corporate communications at the Cleveland Clinic, who expressed concern that smaller hospitals in rural areas could be forced to close if they can’t join an integrated health system. And it’s not just consumers who seek clarity on the subject. Employers do, as well. Like many other business owners, Liliana Gil Valletta, cofounder and CEO of data-driven marketing agency Cien+, has moved from a traditional small-group offering to a healthcare stipend – a move that gives employees more freedom of choice, but also more responsibility to keep on top of changes in their coverage. “It’s no surprise why 60% of business owners are against the Affordable Care Act,” she affirms. “It’s not because we don’t want to provide benefits.” However, an uncertain pricing model and unexpected premium hikes can force employers to shift responsibility to the employee. Some specialized patient populations have become so shrewd about healthcare options that communications pros have to work even harder to stay one step ahead of developments. Laura Schoen, president of the global healthcare practice and Latin America chair at Weber Shandwick, cites HIV patients as an example of a group that has developed quite an understanding about which insurance programs offer the best coverage. Jenifer Antonacci, director of US public affairs at Incyte, says her company is enriching its patient-assistance programs and is communicating with oncology patients about issues such as financial planning for long-term care. All panelists effusively agreed that data is a game-changing tool when communicating on this issue. Panelists felt that in the face of new tax legislation, healthcare issues would continue to be in the spotlight – particularly as wealth remains unevenly distributed. “If we don’t do a better job of creating and maintaining access, we will face quite a bit of a roller coaster as different constituents get out and express their disgust, anger, or fear,” warns Lynn Hanessian, Edelman’s chief science strategist, health. And then there are developments that directly impact the marcomms sector. The White House is moving ahead with eliminating the DTC marketing tax deduction – a move the roundtable panelists find surprising considering that the current administration is positioned as being pro-business. A cut to the Orphan Drug tax credit was another concern raised by the panel. Current law allows companies to write off 50% of the research costs of developing drugs for diseases that strike fewer than 200,000 people. Now, the credit will drop to 25%. All of these issues combine to create understandable concern about the pharmaceutical industry’s overall image – a challenge all communicators in the space must – and can – overcome. The opioid epidemic has reached crisis stage. Healthcare brands that don’t re-craft their messaging in response to shifting U.S. demographics will be left behind. In the March issue of PRWeek, find out our esteemed roundtable’s thoughts on these and other major issues impacting the healthcare sector. Click here for “Insights from a Health Influencer,” a video featuring Bayer’s Ray Kerins in which he discusses his brand’s policy priorities, community partnerships, and staunch belief in the importance of authenticity.